Looking to send hampers, gift baskets and flowers to your family & friends with free delivery to Australia, then look no further! Find the perfect gift with our range of food and wine hampers with many delivered free & fast to Australia with our express Australian delivery service. Now you don't need to wait weeks for gifts to arrive down under, order your gift hamper or fresh flower bouquet today and have it delivered to friends and family in Australia within just a few days. Ordering gifts to send to Australia has never been so easy. Hamper.com stock a wide range of gift hampers and flowers for any occasion, no matter where in the world that you may be. Most of the hampers & flowers above also include free delivery to Australia, so there's no need to send your gift early, we can deliver to any address in Australia with a few days. So send food hampers, Australian wine hampers and other OZ gift baskets down under and make your recipients special occasion complete. Most of our Australian delivered hampers are despatched from Australia, this means there is no postal delays, customs or tax issues to worry about. All prices are in UK pounds and charged in sterling, so there is no exchange rate or bank fees to worry about either. Just simply find the perfect gift hamper online above and let us know the Aussie address we will do the rest. Find the perfect hamper to send to Australian family or friends from our Christmas hamper range full of Xmas hampers and festive gift ideas for sending Christmas hampers as presents to Australia. 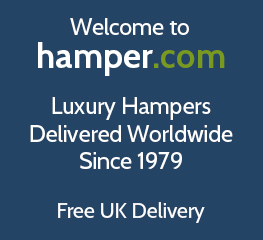 Although you can send hampers from the UK to Australia the cost and product restrictions are cost and time prohibitive, so with hamper.com you get free Australian hamper delivery without the fuss and cost by sending the hamper or flowers direct from Australia, but all from a UK website with UK customer service. Surprise loved ones, friends and business colleagues overseas in Australia with a delicious food hamper or flower arrangement delivered to their door from the UK. Our range of hampers for delivery to Australia include a collection of alcohol and non alcoholic hampers which are suitable for him or for her and ideal for any occasion, so buy your birthday hampers, your mothers day hampers and your fathers day hampers for delivery to Australia today!